In case you didn’t know, in today’s competitive job market, it is more advantageous to have soft skills than solely relying on your technical skills. Make no mistake, your technical skills are important but so are your soft skills. And it these skills that will make you stand out to potential employers. Quick Read >>> The top soft skills Kenyan employers look for. Getting a good education and acquiring work experience is very important for your career. But what determines how well you perform in that job and how long you retain it are all dependent on the soft skills you have. And what are these soft skills and why are they so important? Soft skills are simply people skills. They are skills that help you relate well with others and improve your efficiency at work. They are skills that determine how productive you are at work and greatly affect the kind of relationships you build and maintain whether with fellow colleagues and customers. Soft skills are a MUST have in your CV because they show employers that other than the technical skills you have, you can also be able to relate well with others. Having the right soft skills in your CV is what makes you stand out as a professional during your job search. Communication and inter-personal skills work more or less together. How well you can communicate whether in written or oral form is crucial to have in your CV. How you communicate also influences the kind of interpersonal relationships you form at work and how well you maintain them. Therefore including these two inter-changeable skills proves to an employer that you can easily form mutually beneficial relationships by communicating effectively. As a leader, you are in charge of a team. You lead a group of people who look up to you for direction and decision making. Therefore you want to integrate your leadership and team work skills in order to show that you can lead and work in sync with any team. By listing down your leadership and teamwork skills, you prove to an employer that you are able to take up leadership responsibilities and achieve the overall purpose of the team. No employer wants to hire someone who does not have the ability to resolve problems in a fast and efficient manner. Problems and conflicts will always arise in your job. Therefore indicating that you have this skill shows that you are tactful when dealing with problems arising in your career and job. It also shows your creativity in resolving arising problems. This is definitely a crucial skill to have in your CV. Potential employers are looking for someone who easily adapts to change meaning they can also learn very fast on the job. By indicating on your CV that you are quick to learn and you easily adapt to new environments, it increases your marketability to an employer and you stand a higher chance of your CV being shortlisted. Especially in this fast-paced and ever changing job market, you need to prove that you can keep up! This is by far one of the most attractive qualities in any candidate; someone who does not wait to be told what to do but goes ahead and does it! This is why self-motivation/initiative should be very evident in your CV. No employer wants to keep micro-managing you or constantly ask you to do what is required of you. Employers want someone who goes over and beyond their job description by doing more than is expected of them. There’s no reason or excuse that should keep you from bringing out your soft skills in your CV. And by so doing, you will start getting more interview invites. To learn more about how to professionally outline your soft skills in your CV and start getting interviews, contact our Head of CV Writing – Ms. Rebecca on cvwriting@corporatestaffing.co.ke for a FREE consultation on your CV. 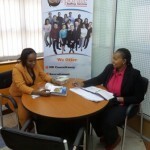 Esther works as a Communication Officer at Corporate Staffing Services Ltd., a leading HR and Recruitment Firm that offers professional CV Writing and job placement services.